CIAM-Algiers architects, La Mahieddine shantytown (day/night diagram plan), c. 1953, Algiers, Algeria. 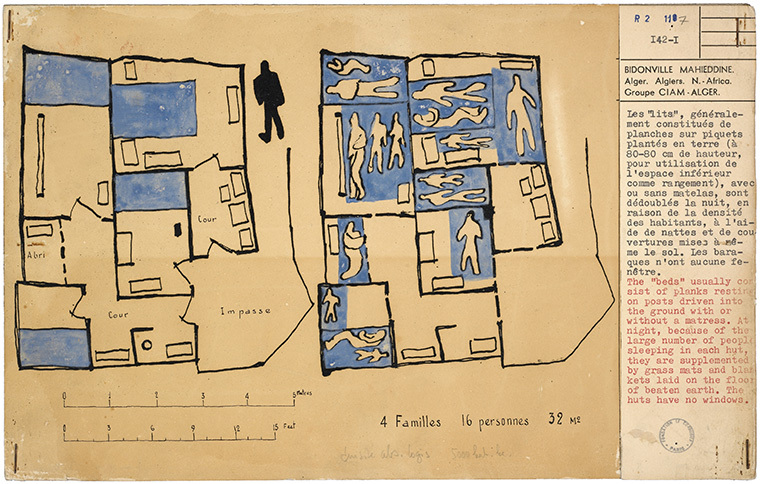 Courtesy of Fondation Le Corbusier/ARS. We are presently witnessing an efflorescence of interest amongst architects and designers in informal terrains and processes, conceived at once as a symptom of the effects of distinctively twenty-first-century urban conditions and as a productive model for contemporary design thinking. 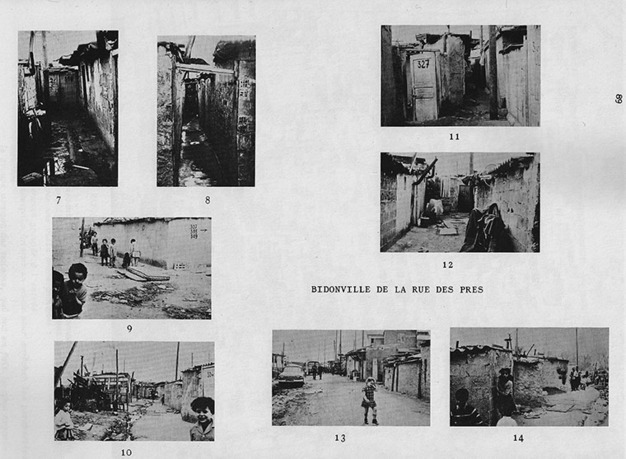 Inventing Informality opens a critically historical perspective onto this discussion, by bringing to light a series of formative attempts by designers and social scientists to document, describe, theorize, and ameliorate informal urban areas, from the 1950s through the 1970s. 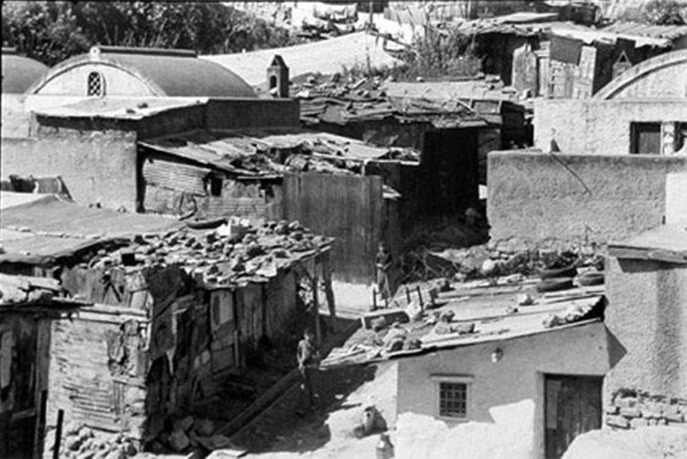 This study traces the historical emergence of urban areas in Europe and North Africa, as understood through distinct terms of informality, revealing their connections to late colonial policies and struggles for decolonization. 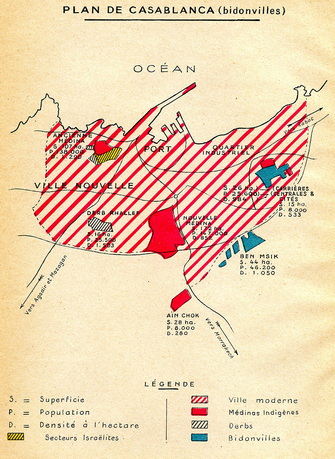 By examining the representational tools and analytic strategies architects, sociologists, and geographers trained on informal settlements and inhabitants, this project excavates how the bidonville—as urban form, site of knowledge production, and object of social and spatial reengineering—migrated between colonial and metropolitan terrains. Sheila Crane is associate professor of architectural history at the University of Virginia. Her book Mediterranean Crossroads: Marseille and Modern Architecture (University of Minnesota Press, 2011) was supported by a publication grant from the Graham Foundation and received the 2013 Spiro Kostof Book Award from the Society of Architectural Historians. Her research focuses on the history and theory of modern architecture and urbanism, particularly in Europe, North Africa, and the Mediterranean region. The recipient of fellowships at the Clark Institute in Williamstown, the Canadian Centre for Architecture in Montreal, and the Shelby Cullom Davis Center for Historical Studies at Princeton University, Crane has published essays in the Journal of Architecture and Future Anterior, as well as in numerous anthologies, including Modern Architecture and the Mediterranean (Routledge, 2009), The Spaces of the Modern City (Princeton University Press, 2008), and Use Matters (Routledge, 2014).